This is a vintage and collectors shortwave receiver model S-40 made by The Hallicrafters Co. and used by many radio hams back in the 50's. It is in working condition and fair shape for its age. All original. Has band spread and bands 1.7-5.4, 5.3-16, 15.5-44 megacycles and also standard broadcast band. Half a decent outside antenna is necessary. All metal construction and heavy. All tubes have been tested and are in good condition. Partial set of replacements tubes will be included for you to have as spare. 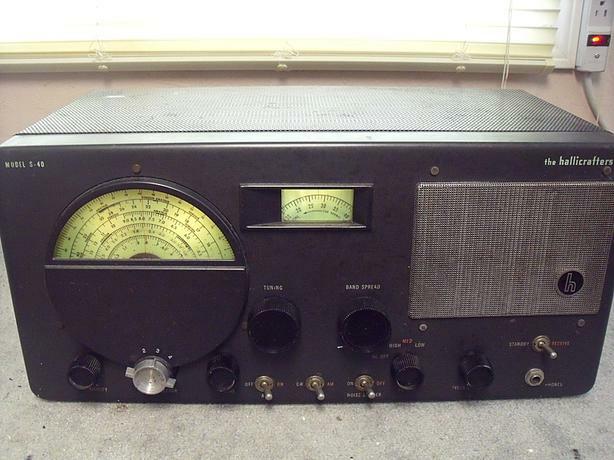 Hallicrafters was perhaps the best known ham radio gear of its years and during the war too.